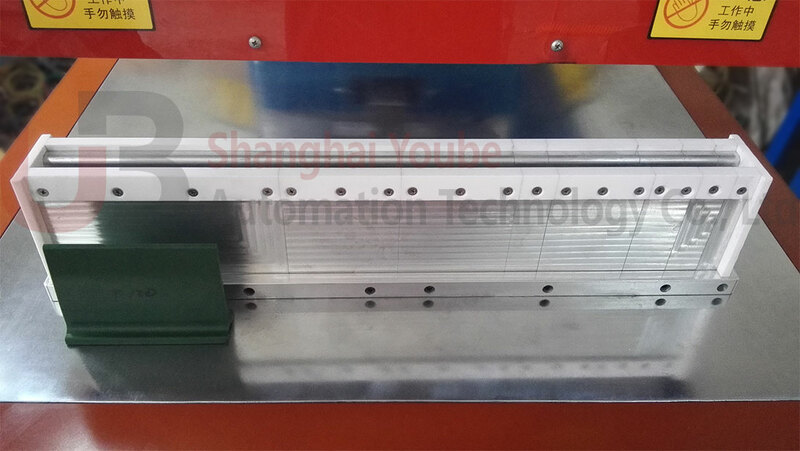 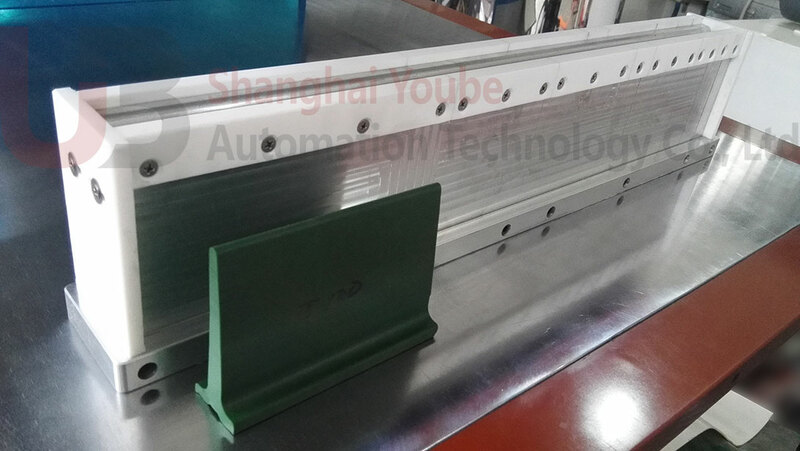 Assembling electrodes (molds) are used for high frequency welding between plastic (mostly PVC/TPU) cleats / tracking guides and light duty conveyor belt, which were firstly designed by founder of Shanghai Yoube Automation Technology Co., Ltd around 10 years ago, and now they become into very professional and popular tools in light duty conveyor belt industry. 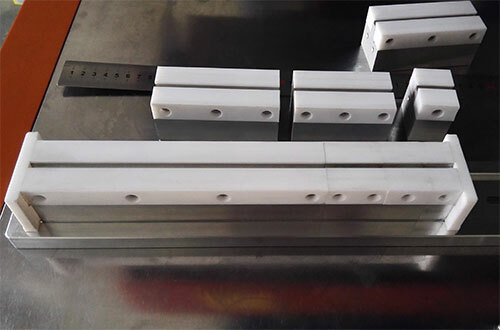 Assembling electrodes (molds) are made of high quality aluminum and tetrafluoroethylene. 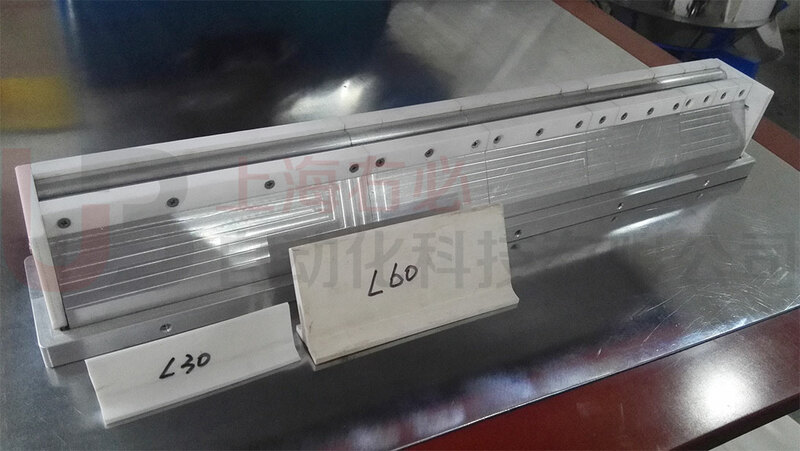 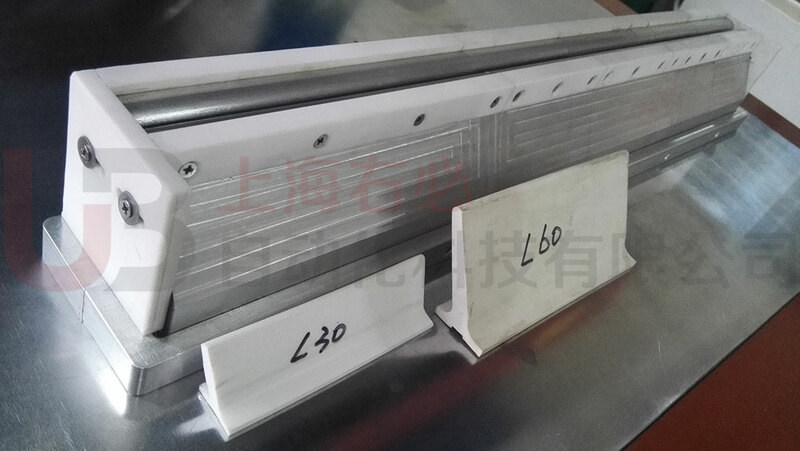 The width of assembling electrodes can be adjusted according to different widths of conveyor belt cleats or tracking guides, light duty conveyor belt manufacturing and processing enterprises can save lots of cost of electrodes therefrom. 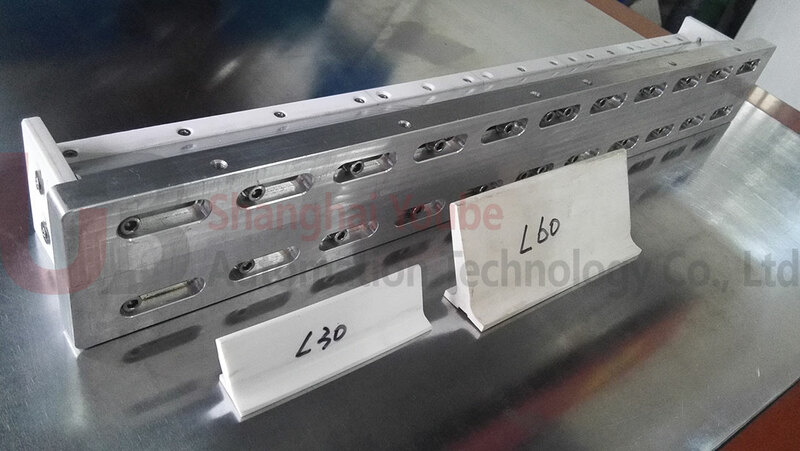 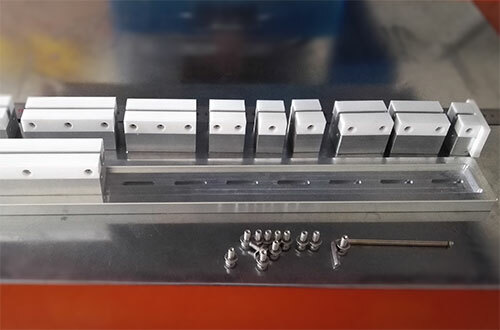 The most popular size of assembling electrodes for conveyor belt cleats is T30 to T60 universal model, length is 600mm which is assembled by 8 small parts in different length (200,100,100,80,40,30,30 and 20mm). 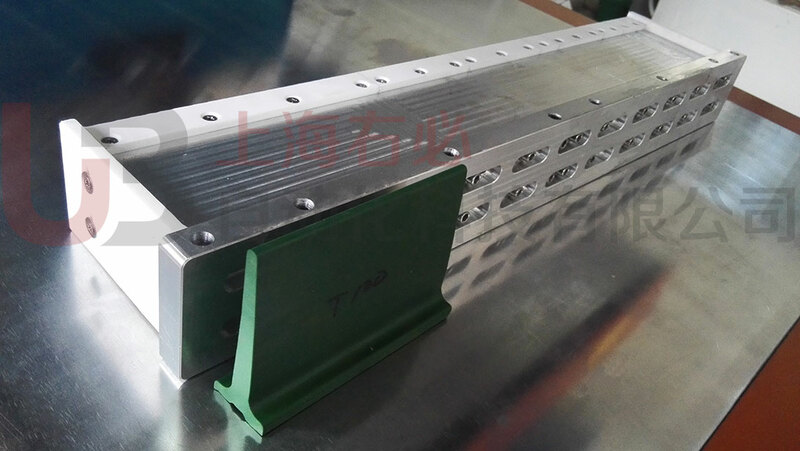 The width of cleats foot is also adjustable.